If someone starts with modest resources, does well in business, and makes a fortune, isn't it fair to attribute that wealth to individual merit? Not really. Here is another question why do some people succeed and others don't? Is it luck? Is it talent? That's the question Malcolm Gladwell sets himself to in his book Outliers. The answer he finds is, often, none of these. To make his point, Gladwell compares Christopher Langan to Robert Oppenheimer. Langan has an astronomical IQ of 195 but he has not been able to parlay that into significant academic or business success. On the other hand is J. Robert Oppenheimer, the theoretical physicist who headed up the Manhattan Project, America's effort to create an atomic bomb. Yet here was a man who had to talk his way out of an apparent murder attempt while at Cambridge in his twenties. Langham, on the other hand, couldn't even talk his college adviser into letting him transfer classes. Why? Oppenheimer's family and cultural background allowed him to absorb as if by osmosis not only a sense of entitlement but the instincts needed to move successfully among powerful, rich, talented people. Langham had none of that. Since our whole monetary and trade systems are built primarily on contracts of agreement, modern markets would not exist, and economic development could not happen, without significant government intervention. Those who also argue for an end to government sponsored re-distributive mechanisms either overlook or dismiss the role of periodic redistribution in sustaining economic prosperity. Without government intervention in redistributing wealth in suitable amounts you continue on this spiral of increasing inequality. "Nothing can preserve the integrity of contract between individuals except a discretionary authority in the State to revise what has become intolerable. And what is often over looked social welfare programs that keep the poor from rebelling and rioting in the streets. For proof of this you only have to look at what is happening in other countries. If we use these criteria to determine who can legitimately claim to be "entirely self-made," the number is in fact, precisely zero. If not for the legal and political arrangements that we create and maintain as a society with contributions from us all, costs to us all, and benefits to us all and if not for what we call "the public infrastructure," nobody could accumulate wealth. In short, there can be no private wealth without common wealth of a nation. Wealth always depends on collective effort. Why? Because of what the "entirely self-made" myth implies. If I have amassed a fortune solely through my individual talent and hard work, then it is wrong for the government to take any of it away. By further implication, taxation is wrong, and progressive taxation is really wrong. Casting "the government" as an evil empire that confiscates the fruits of one's labors also serves the interests of the division class. Working-class and middle-class people who embrace this view are less likely to take an interest in government as a means to build, protect, and fairly employ the nation's common wealth. By helping to portray government as the enemy of individual initiative and prosperity, further plays to the insecurities of the middle and lower class. In a competitive, individualistic society like the U.S., the "entirely self-made" illusion is seductive. It gives us the pleasure of taking credit for our successes. It also mitigates the guilt that can come from recognizing our own class privilege. The "entirely self-made" myth is handy for both self-congratulation and self-absolution. But we should reject the mythology not just because it's wrong, but because, unlike many other comforting myths about American society, this one has especially pernicious consequences for democracy and community. At worst, it can make us feel that we have no right to democratic control of our common wealth. If we recognize that all private wealth depends on our common wealth, then we incur two obligations. 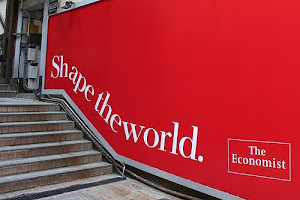 One is to contribute our fair share and the bigger the rewards we derive from society, the bigger that share should be. The other obligation is to participate in protecting our common wealth and determining how it is used. We should not let those decisions be made only by a few self-serving people that laugh all the way to the bank. Why does one person get not only much higher pay but also health benefits, greater authority, flexible work hours, higher social status and a more comfortable work environment while doing interesting work, yet the other person does the least desirable work for less pay, no benefits, virtually no authority, with very low status, often in a brutal work environment? None of the reasons we often give to justify this hierarchy hold up when scrutinized. For example, we may say that the professional went to school to earn a higher paying, higher status job. But that does not take into account the different opportunities that people have for education nor may that academic ability be the result of upbringing, conditioning or heredity none of which the individual has any control over. And none of this explains why people who spend all of their time moving money around electronically do not really produce anything and in fact may actually be destroying the work of others yet they get compensated at astronomical levels. Neither the Wall Streeters, the professionals nor the immigrant workers got to where they are all by themselves. Each was helped, or hurt, by others, including others far removed from them in the economic system. The wealthier we are, the higher our status in the system, the easier it is to delude ourselves that we got there all by our own effort. In the modern world, where everyone is connected to each other, being entirely self-dependent cannot be the road to success. We must be able to depend on each other to be successful both as individuals and as a society. Many point to the great inventors throughout history, like Henry Ford, as examples of self-made men being wildly successful without others’ help. While it is true that many rise from humble beginning, they need help from others to rise to the top. Ford was a great innovator, but he needed outside investments to allow him to create Ford. He even benefited greatly, both directly and indirectly, from the federal government. He was awarded 161 patents that allowed him to profit from his inventions, and transportation investments from various levels of government to build roads and highways throughout America helped fuel demand for his cars for decades. This myth is popular with the unenlightened for many reasons but I know better. Some like the concept because it fits nicely with their narrative. A country where any individual can flourish without any outside help requires no government spending on medicine for the poor and elderly. No need for public education; they can educate themselves. No need for scientific research grants; if the free market wanted a cure for polio so badly, it could fund the needed research. The fact is nobody got rich on his own nobody. The fascination I have with Trusts goes back to over 20 years ago. When my lawyer, business confidant and friend taught me the many uses of Trusts and it’s intricacies. But I dug further I wanted to know the history where did the idea of trusts come from etc. I discovered it arose almost accidentally from the procedural intricacies of English law, where a dual system of justice had arisen as early as the fourteenth century. The system provided two judicial structures based on fundamentally different jurisprudences of the rule of law and the rule of equity. The common-law courts administered law and the Chancery courts provided equitable relief when the application of strict law in the common-law courts either gave no remedy or gave an unjust one. The Chancery courts were often faced with petitions relating to “uses”. A “use” arose where a person (the “feoffor”) conveyed property of any sort to another (the “feofee”) upon the understanding that the other was to hold the property on behalf of the feoffor or on behalf of a third party (cestui que use). Clearly the feofee, bound in honour but beyond the law, was in a position of confidence which he might abuse. Consequently, the rights of the cestui que use required protection. The common-law courts failed to recognize uses and so it was upon repeated petition to the court of “conscience” that relief was awarded by the Chancellor who forced the feofee to administer the property for the benefit of the cestui que use, according to the terms of the grant. Throughout the centuries, the trust has proved a remarkably resilient and flexible concept. Its uses have reflected the needs of the times. In Medieval times, it was used as a means of avoiding forfeiture, while in the Victorian period it was often used as a means of controlling one’s family, even after one’s own death. Today, as well as retaining its old uses, the trust has been put to many new ones. The modern role of the trust lies significantly in pension funds, charities and various endowments. Charity in its legal sense comprises four principal divisions: trusts for the relief of poverty; trusts for the advancement of education; trusts for the advancement of religion; and trusts for other purposes beneficial to the community’. 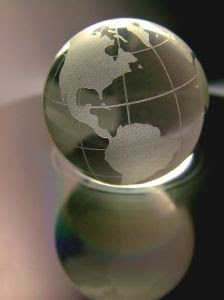 The achievement of charitable purposes through the use of a trust is often easier and cheaper than the use of a charitable corporation, or for the purposes to be administered by a local authority. For these reasons, many established charities today are in fact trusts. One pertinent way in which such trusts are utilized is in the creation of disaster funds which accepts funds from members of the public (the trusters or settlors) for equitable distribution amongst the victims, survivors and dependents of victims, of the disaster. A debtor’s property is in principle available for the satisfaction of his creditors and ,if he becomes bankrupt, it will pass to his trustee in bankruptcy; but it is possible, by making use of a protective trust, to obtain a measure of protection against such a calamity. The very notion of protective trusts, which effectively empowers a settler to defeat his creditors by putting his property beyond their grasp, would no doubt have Henry VIII turning in his grave. However, there is much to be said for allowing some means of protecting a person’s dependents from the adversities caused by his own lack of financial prudence and from this perspective it is pleasing to note that a settler cannot create a trust which will protect him against himself own bankruptcy. In Re Boroughs-Fowler , a settler attempted to protect his property by creating an ante-nuptial settlement that provided that the income from the trust should be paid to him and in event of his bankruptcy, paid to his wife. This was not allowed by the court and it was held that the property vested in the bankruptcy trustee, who could validly dispose of it. This rule is now enshrined in the Trustees Act 2000, formerly the Trustees Act 1925 of the UK. A trust may be created in order to avoid any single person acquiring a controlling share of a company. 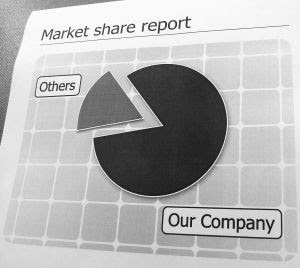 If for some commercial or other reason the original owner does not want another person or body to acquire a controlling shareholding in a company, a sufficient number of shares could be taken out of circulation and put in trust. This method may be used in order to protect a company from a hostile takeover. It should be recognized however that this procedure might well have the effect of limiting the company’s freedom of manoeuvre, as the trust holding would be subject both to trust considerations and to commercial ones, and company decisions would be tightly bound into the welfare of the trust. With the increasing incidence of divorce in modern society it is foreseeable that a marriage will not last a lifetime. One way of avoiding the financial arguments that invariably embitter the parties to a divorce would be to make provision for the holding of property in trust, with the aim of dividing it out equitably on the break-up of the marriage. However, there may be a problem in relation to such a provision’s validity. In Re Johnston’s Will Trusts a trust was set up which made provision by a father whereby his daughter was to receive certain sums in the event of her divorcing her husband. Clearly, the father’s intention was to provide for his daughter only if her husband stopped supporting her; but the court held that the provision was void as being contrary to public policy in that it amounted to an encouragement to the daughter to divorce her husband. In spite of such precedents, it is submitted that such a provision may be a sensible way to deal with an event that is undesirable but foreseeable, so long as it does not encourage the onset of the undesirable event itself. The Business Trust made its debut in Massachusetts in 1827. As a result, a U.S. Business Trust today is often called a "Massachusetts Trust" in legal circles. The U.S. Supreme Court defined the Massachusetts Trust as a form of business organization, common in Massachusetts consisting essentially of an arrangement whereby property is conveyed to trustees: in accordance with terms of the Trust. The business is to be held and managed for the benefit of persons who hold transferable certificates issued by the trustees showing the shares into which the beneficial interest in the property is divided. [Hecht v. Malley, 265 U.S. 144 (1924)] [446 U.S. 458, 469]. Neither the railroads, nor industry or banking were invented in the period between 1865 and 1914, generally accepted as the time limits of what was called the Gilded Age. The new element which drove the concentration of wealth was consolidation in search of economies of scale and the strive for monopoly ( “ Trusts “). When the great C. Vanderbilt acquired both the New York & Harlem and the Hudson River railroads, he achieved a monopoly on railroad transportation between New York City and Albany. This he later parlayed into a controlling interest of the New York Central Railroad, which he promptly merged with his Hudson River railroad, thereby establishing a through line between New York and the Great Lakes. His interest in the Erie Railroad, which ran a parallel line along the Southern border of New York state, was entirely motivated by the intention to extend his monopoly. What Vanderbilt did or sought to do in New York, the Pennsylvania Railroad did in Pennsylvania and other railroads did elsewhere. Mergers created larger and more efficient systems and a reduction of competition, which in turn promised higher profits. Thus, when the new generation of industrialists started to expand their scope of activity from local factory owners to national operators, they merely followed the railroads in their economic logics. The concepts of pooling and artificial price fixing, were not invented during the Gilded Age, but the period was characterized by the typical short economic cycles, the boom and bust cycles, which favored their application. In times of rapid growth, high profits tended to attract an excess of investors and overcapacities were rapidly built up. When the excessive offer hit the markets, prices had to sink and spelled doom over the concerned industries. Leading firms then often tried to maintain high prices by pooling and collectively reducing production. Such pools (or cartels) were more or less loose and the looser they were, the less they were effective. Only in a few cases did these cartels succeed to control prices effectively for a prolonged period. One such example is the Gunpowder Trade Association, which was organized by the leading gunpowder manufacturers, including E.I. Du Pont de Nemours, after the end of Civil War threatened the industry, which then naturally suffered from overcapacity. The concept of "trusts" was invented during the Gilded Age, as a response to the specific legal situation, which forbid corporations from owning other companies or assets in other states. It notably appeared as the legal form, the Standard Oil alliance took in 1882, to unite its shareholders as it could not merge its constituent companies. 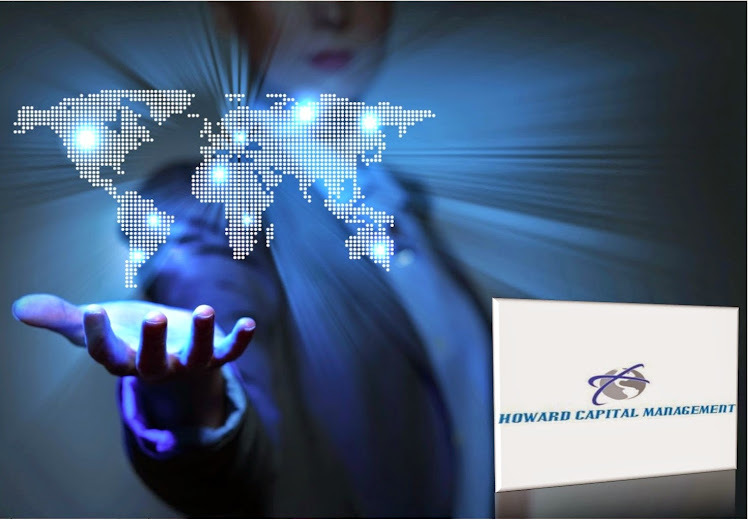 The introduction of the holding company in New Jersey during the 1890's allowed what was formerly impossible and thereby accelerated the trust movement in corporate America during this period. 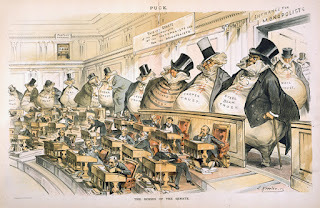 Under public pressure, the US Congress reluctantly introduced anti-trust laws to rein in the growing concentration of wealth and power in the hands of a few individuals and fight the large corporations in their efforts to restrain competition. These efforts proved rather futile, as witnessed by the creation in 1890 of the American Tobacco trust, the same year in which the Sherman Act passed. The American Sugar Refining Company joined in January 1891 and the nine year old Standard Oil trust made no efforts to adjust, despite the fact that it was the target of the Sherman anti-trust legislation. It would take twenty years until these three major trust would be dissolved by order of the Supreme Court of the United States. In time most American industries fell prey to the consolidation or trust movement, many of them during the 1890's. However, some sectors were more suited to be "organized" than others. Such was the case of the nascent (rock) oil or petroleum industry, which came under the influence of the secretive John D. Rockerfella and his partners. Drawing his strength in his deep faith, John D. Rockefeller relentlessly brought his Standard Oil Company forward, until it owned 90% of the nation's oil refining capacity and controlled all essential oil transportation infrastructures, with its pipeline network, tank car fleet and secret railroad rebates. The four major railroads serving the Western Pennsylvania Oil Regions then were the New York Central - Lake Shore, the Erie - Atlantic & Great Western, the Pennsylvania and the Baltimore & Ohio. To achieve his goal of monopolizing the oil industry, John D. Rockefeller allied himself with his strongest competitors : refiners. He also enrolled the most fervent of his opponents in the Oil Regions, such as John Dustin Archbold and lawyer Samuel C.T. Dodd. Standard Oil became so fabulously profitable, that it was soon known as the "Mother of Trusts", standing behind the consolidation of many other industries. By then, John D. Rockefeller inherited the mantle of evil the brand-mark of the villain, who tried to monopolize just every sector he could get hold on and thereby required his tribute from the innocent consumer and producer. This impression was actually wrong, as these enterprises sprang from the initiatives of the oil trust's individual shareholders and were not orchestrated by a common entity. Although John D. Rockefeller had some ambitions to consolidate the steel industry, (which he failed to do), most of the trusts financed by Standard Oil money were organized by other partners. The most active were Oliver Hazard Payne (American Tobacco), Henry Huddleston Rogers (the smelters trust) and Rockefeller's brother William, who promoted the great Amalgamated Copper scheme in 1899, with the support of James Stillman and the National City Bank. There were lesser trusts with Standard Oil influence, such as the National Lead Company and the American Linseed Company. What Rockefeller did in oil, James Buchanan did in tobacco products and the Havemeyers in sugar refining. Founded in 1890, the American Tobacco Company grew mainly by acquisitions until it controlled most of the smoking tobacco industry in the USA. Its sister, the Continental Tobacco Company, was organized (in 1898) to control the plug tobacco sector as where the American Snuff and American Cigar companies to control their respective segments of the tobacco trade. These companies were merged into the Consolidated Tobacco Company of New Jersey in 1901. To expand into foreign markets, the British American Tobacco Company was formed and the Havana Tobacco Company, to control the cigar supplies from that Caribbean island. Duke, a self-made-man like Rockefeller, was supported by a powerful group of Northern financiers, who had built the street railway systems in New York, Philadelphia and other cities. This group essentially consisted in William Collins Whitney, Thomas Fortune Ryan, Peter A. B. Widener and Anthony N. Brady. Oliver Hazard Payne, the long-time treasurer of Standard Oil and estranged brother-in-law of William C. Whitney, was also a large shareholder. Unlike the Rockefellers and the Dukes, the Havemeyers who reorganized the sugar industry in the 1890's, were already wealthy and well established in the sugar refining business. The first pair of Havemeyer brothers, William and Frederick Christian, immigrated from Schaumburg-Lippe (Germany) in 1802 and established their first sugar refinery on Vandam Street in New York three years later. Their family prospered in New York and made the city to the premier sugar refining center in America. A scion of this family, Henry Osborne Havemeyer, who was linked by marriage to the Elder family, whose fortune was also made in sugar refining, consolidated the industry under his American Sugar Refining Company in 1891. By 1907, the Sugar Trust controlled 98% of US sugar production. Thereafter it came under litigation with the US government and was forced to relinquish control of its member firms, thereby effectively loosing its dominant position. When a settlement was reached in 1922, the market share of American Sugar Refining had sunk to 32%. In modern times, sugar refining ceased to be the profitable business it used to and the industry, once New York's most important, declined. During the 1890's and into the first decade of the Twentieth Century, trusts were organized in every major American industry. Some were loose agreements between major firms, such as the infamous "Meat Trust", which pooled the large Chicago and St. Louis packers (Armour, Cudahy, Morris, Swift and Wilson) in one strong combination, using essentially the same methods as Standard Oil, notably in relation with the railroads, to fix prices and drive competitors out of business. Others took the form of holding corporations, usually chartered in New Jersey or Delaware and frequently organized with speculative rather than economic motives. To these, we may count a number of the companies, which were set up by a former shipping merchant, turned investment banker, whose involvement in industrial consolidation earned him the nickname "father of trusts" : Charles Ranlett Flint. Although generally weak at their beginnings, some of the Flint trusts later became successful corporations, like American Woolen (later Textron) or the Computing-Tabulating-Recording Company (now IBM). The Moore brothers of Chicago were also prominent trust organizers of the rather speculative nature. They created the National Biscuit Company (Nabisco), the Diamond Match Company and four companies, which were absorbed by the United States Steel Corporation in 1901. The Moores stood also behind one of the last great railroad empires to be organized in the USA. Laughlin, the Crucible Steel Company of America and others) were left out. New combinations soon appeared and threatened the steel trust in its very existence. After clashing numerous times with the conservative Gary over corporate policies, Schwab left US Steel after a three year tenure, took over Bethlehem Steel and built it into a major competitor. His successor William E. Corey also left after a few years to take over a competing concern. John Warne "Bet-A-Million" Gates was involved in the creation of Republic Iron & Steel after he had unloaded his wire trust to United States Steel. And Henry Clay Frick, while still a director, teamed with the Mellons of Pittsburgh to create the Union-Sharon Steel company, which they also unloaded on the steel trust. Under the presidency of Theodore Roosevelt, who succeeded the elected William McKinley after his assassination in 1901, the US government started to take a stronger stand against the trusts. As a consequence of these actions, the following major trusts were ordered to dissolve: Northern Securities (Western railroads) in 1904, Standard Oil and American Tobacco in 1911. The split-up parts continued to prosper and in many cases became greater than their parents had ever been. But with the gradual retirement and dilution of the founding interests, the resulting oligopoly of strong companies characterized a new and more competitive environment, which eventually benefited both, the general economy and the stronger of the competing firms. Industries, where competition gave way to regulation, like the railroads, generally declined, although this decline may be essentially due to more general macro-economic changes. The trusts were the predecessors of our modern corporations and they played a role in the economic growth of the United States. The multi-million dollar fortunes they made to their organizers and promoters were part of the Gilded Age. But it is no different today when billion dollar fortunes are derived from successful companies in the field of high tech. The above are a few of the uses to which the trust can be put. 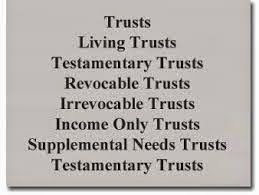 The examples chosen show that the nature of a trust can be protective, of person or property; it can achieve desirable aims, either of a private or charitable variety; or it can be distributive, in the sense of transferring wealth in a tax advantageous manner. From a strategic point of view, it is submitted that Maitland’s claim that the trust is “the greatest …achievement performed by Englishmen in the field of jurisprudence” holds sufficient weight. From a moral stand point, it is simply stated that Henry VIII’s misgivings of the Medieval system would still hold a degree of justice when applied to the modern trust. However, what is important to note is that the trust can clearly not be dismissed as having outlived its usefulness and today forms a distinctive part of English law which at the very least says a great deal about the ingenuity of some highly skilled lawyers of which I have known a few. The first step to having wealth is to know what it is. And few people know what it really is, in and of itself. What is wealth? What causes it? What causes the cause of it? Let us start with money, the world’s symbol of wealth, and then move deeper. Lets take a look at money. Money is merely legal tender, a form of exchange. We use it to exchange value. It represents value. Money is the ‘body’ of value. It is the physical representation of value that rises and falls in ourselves, within us. Not within ‘things’ outside of us, but within us. For without us, what can the value of a thing, such as a car, be to us? Nothing, at least not to us. In other words, it is we, the observers, that place value in things, but this value is really value in us – we give value to the material things. The material things have no ‘money’ value in themselves – we give that to them. So, money is the external physical representation of a particular section of our internal value, within us, within you. That is why a house or a block of shares valued at $1 million today can fall to a valuation of half a million dollars tomorrow when fear is introduced into the hearts of those involved. The fear kills a portion of the internal values of the participants and that is reflected by the paper money, the ‘body’ of value. Money is not the enabler; it is that which makes the people point their attention and their power in a certain way. It is the carrot on the stick. It gives you a promise, alters your belief so you may act in a certain way. In fact, it doesn't do it by itself; you build that image all by yourself in your mind. You build the belief and the promise in your mind, you convince yourself, and then you act in that way. 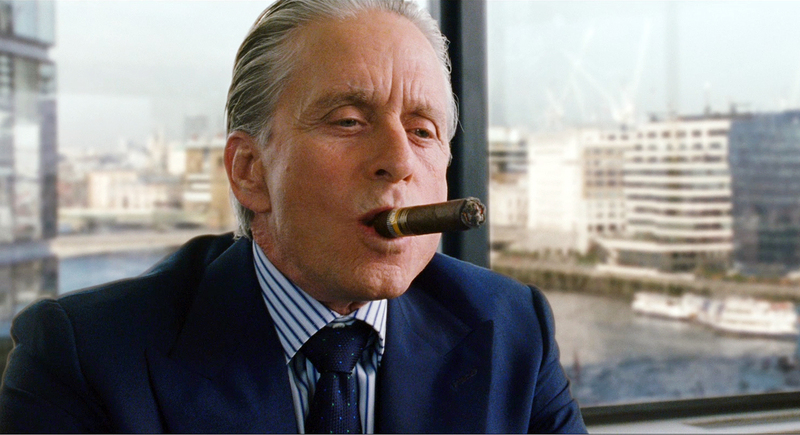 This acting ‘in that way’ is what people mistake as the power of money. Money can't do anything by itself. It is we the people that do things, create things, exchange things. And we do it all based on what we believe. And then we think we are powerless and it is money that has the power. And this misconception has such a strong grip on people’s minds. How many times have you felt powerless, defeated and incapable, just because in your mind you did not have ‘enough money’? How many times have you reduced yourself and thrown away your dreams because of this idea? Don’t you find it incredible that you can actually believe, in an instant, that you are next to nothing just because the ATM slip printed less zeros than you expected? You can actually be dreaming of starting a business, doing something for yourself and loved ones, and all those dreams can be shattered in one second when you get your bill or account statement. Why do you choose this? Look, if you only have $10 left, the reality as it stands would be that, at that moment, you only posses $10 of funny money. That is all. That is not related to the next moment of your life – it is up to you to choose how you will next move. It is not related to your dreams and goals – it needs not shake them one single bit. It is not related to your emotions and mood – you choose how to feel about that $10 and that is why different people feel differently about $10. It is not related to your power, capability, confidence or anything else like that – you choose all these yourself. Walt Disney, against all odds, criticism, and a string of ‘failures’, stuck to his imagination and became the entertainment king of the world. Mickey Mouse was launched at the lowest point of his ‘failures’. No one could have predicted that an empire would have been launched on a mouse. When we willingly go where our most desired imaginations take us, we become creative forces that have no limits. Albert Einstein said that imagination is the greatest creative force. Learn to be willing to go where your imagination and desire takes you. Your thoughts are a major part of your wealth consciousness and beliefs. Example remember that most people who win lotteries lose all their money within a few years and actually end up in debt, while people with high wealth consciousness make billions out of nothing repeatedly. Money is not something you need. It is not a need. As long as you feel you need money, you will find it hard to get. The minute you drop your neediness of it, your belief that you are any less without it, you will find you are surrounded by it and by whatever it is that you desire and move towards. Money is a communication device, and when you have neediness, you are communicating lack of, and that is what you will experience. Whether you are in a job or a business of your own, the way to gain increasing wealth (and money if that is what you want – but remember that you can have wealth without money) is to continuously go within and find the value and power that is inherent in you as it is in everybody. Then bring it out and communicate it. And you will find that, in ways you can't even predict, the wealth and money will automatically come. Go within, bring it out, communicate your value, ask for what you desire, and repeat. Ask and it shall be given. Seek and you shall find. Knock and it shall be opened unto you. We have seen how money enables you to convince someone else to act in a certain way. It shifts their beliefs towards something you would like to have happen. But what else does money do? It shifts your own beliefs – it convinces you that you have the power. But it is not the money that convinces you; it cannot possibly do that. You convince yourself, without a shred of doubt, that you have the ability! When you don’t have $100 that you imagine you need to get a pair of shoes, the $100 you imagine is the only way, out of infinite possibilities, that will get you the shoes, you convince yourself totally that you don’t have the ability to get shoes. When you have the $100, you convince yourself totally that you have all the power you need to get shoes. Did you know that you could convince yourself of either of these even without money? You may have the $100 but convince yourself totally that you have some perceived shortage and you shouldn’t spend it on shoes or else you will suffer. And so you remain without shoes. Of you may not have the $100 but you convince yourself totally that you will get shoes, and somehow you end up with shoes (as a gift, through some special offer, or in any of many other ways! This all teaches you two things: (1) you can convince yourself either way regardless of the money and the results happen regardless of the money and (2) you always, always, regardless of the money, have to convince yourself first of your ability so that you may use it. You’re the founding member of family wealth now what do you do? You have worked day and night you have made sacrifices to no end. Blood sweat and tears was on the daily menu. You have taken ridicule sometimes by immediate family members. You have taken risks that people said were foolish. You were laugh at left isolated it cost you a marriage or two, friends were nowhere to be found. You had a number of set backs. But you did not quit you kept going and now you are a success a Founding Entrepreneur of a family empire now what do you do how do you make sure it is carried on? Only 34% of family businesses survive to the second generation, and just 15% make it to the third. Among those that don’t survive, 10% are due to transfer taxation, 25% to unprepared heirs, and 60% to the way successor family members interact. 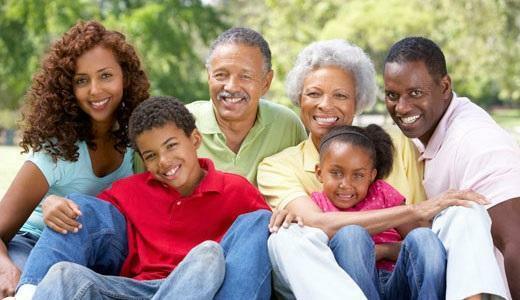 When discussing generational issues, one needs to distinguish the entrepreneur-founder of a family business from the senior family member in a business that is now in the hands of the second or third generation. 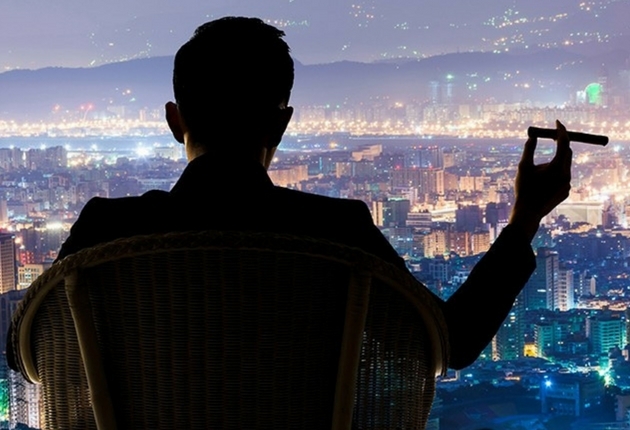 Entrepreneurs differ from other people. They have certain characteristics, which make them successful. As it happens, these are the very same characteristics, which make them difficult to relate to as individuals. Spouses, girl-boy friends of Entrepreneurs have to deal with a whole new set of dynamics that are not part of a regular relationship. A family business' founding entrepreneur is usually a father. (Although less true today than in the past, the entrepreneur-founder is, more often than not, male.) The founder probably had problems with his own father over authority and control. As a result, he has not had the role model needed for shaping his interaction with his own children in ways that build a healthy relationship towards authority and control issues on their part. It would be a mistake, however, to confuse the entrepreneur's difficulty interacting with his children with a lack of commitment to family or a lack of intellectual understanding of the father's role. On the contrary, an entrepreneur is frequently driven to achieve precisely because of a deeply rooted need to recreate the family situation that he wished he had experienced as a child, but was denied. In fact, entrepreneurial founders can often be persuaded of the need for communication between generations because they understand intellectually the emotional needs they experienced in their relationships to their own fathers. Entrepreneurial seniors can often find the wisdom to change even before being pushed by their children seeking more autonomy and responsibility, who seek, in short, a benign exercise of authority by their parents. Ensuring financial security for children is also seen as an important motivation for amassing and protecting wealth. The desire to pass wealth to the next generation is sometimes tempered by concerns that leaving too much money could cause problems for the benefactors. Increasingly, wealthy individuals are keen to ensure that their dependents receive financial education to prepare them for wealth and, in some cases, are adding stipulations to their wills, such as the requirement that a university or some other form of education is to be completed. Inheriting money can have a “curse,” a dark side—it can disable people, isolating them, causing shame about what they have, arrogance, or a sense of unworthiness. The discovery of personal identity in heirs has been likened to a journey, where they must go out in the world and find out who they are on their own, away from family and their names. The major challenge in development of heirs is to balance a sense of responsibility for their wealth with their sense of entitlement. If an heir feels that they deserve what they get and that there are no corresponding values or responsibilities placed upon their inheritance, they eventually experience a deep sense of emptiness, even resentment, inside. Getting a paycheck on one’s own, starting a small business or a community project, or just graduating with honors, are achievements that build personal identity. The young heir has to find some way to do something important. The entrepreneur, the original founder and manager of what will become a Family Business Empire, controls all levers of power on the levels of ownership, management and family standing behind this newly created business entity. He/she provides the founding myth for the family that captures the core family values and a vision to be referred to across generations. The family business will play a significant role in the dynamics of a family for generations to come. The business is in fact part of the day-to-day living of the family, and is a platform for interactions within the family and with outsiders. 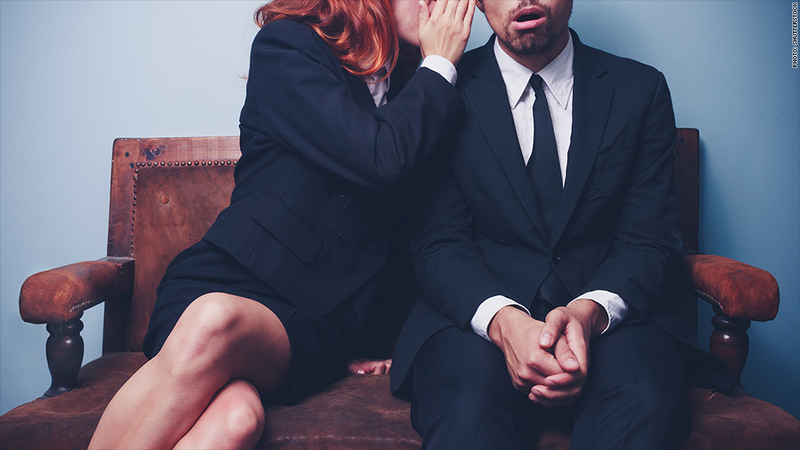 In the later generations, not everyone in the family is, or wants to be, involved directly in the running of the business – while they might all be owners, only some are managers. Whether rising family members become managers in the business is in great measure determined to the extent that active efforts were made to consistently involve them in the business from an early age. Further, the greater generational distance from the original founder translates into a rising need for a separation of power and control over the family’s financial affairs, including the family business. While the business is a family enterprise, at the individual level, once you get past the founder, not everyone in the family is or wants to be involved directly as manager in the business. In such situations there is a clear need to think strategically about the family’s financial position and design a new structure and a plan of action – they have now become a family-in-business. A family-in-business needs a platform to capture the wealth – business and financial and to address the broader needs of current and future generations. A family office is the perfect structure it will take care of the day-to-day management and administration of the collective assets and business affairs of one or more families. Its long-term goal is to preserve and grow the wealth for current and future generations. For the family-in-business a family office takes on the rallying role previously served by the family itself. Financial planning for the family is pointless unless absolute financial security is assured for Mom. It is not possible to talk about sharing present and future wealth with children and other family members until priority and attention is given to providing financial security for the surviving spouse. Usually, this is the wife. Sometimes, this wife is not the mother of some or all of the children who are expectant heirs of a portion of the family wealth. Stepmothers, stepfathers, and stepchildren complicate the discussion of wealth planning alternatives. But it can be overcame with the right strategies. Depending on what kind of relationship you have with your ex-spouse they can be included into the overall plan or left out of it’s entirely up to you. If the founding member of the family enterprise have children but is not married to the mother. This will have to be addressed if the founding member remarries and has children with the current spouse this also makes it complicated. 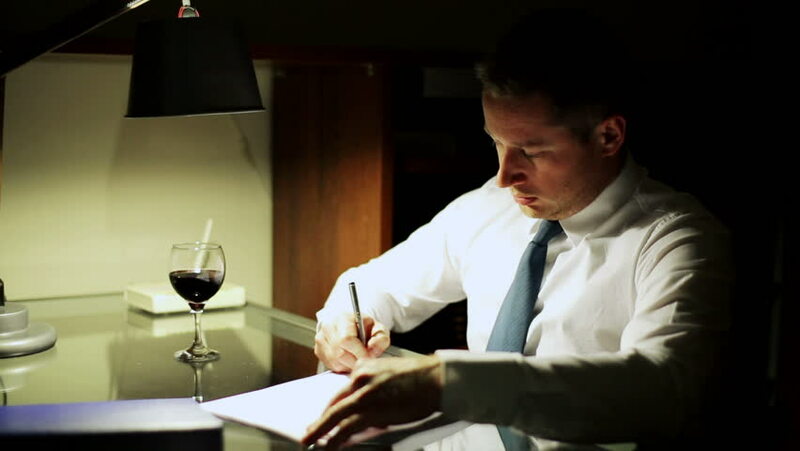 Make sure you address all these issues with your estate lawyer. Its just a common fact kids are not the same even in the same family. They have different personalities some will take an active role in the family business some will not. It is expected that almost half of all family-owned businesses will undergo an event associated with successorship in the next Ten years. In some cases, there are unfair biases and assumptions that impede a healthy planning process. 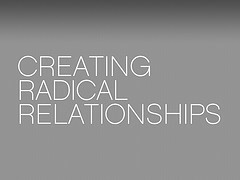 This can be overcome through candid communications facilitated by a neutral professional. Rich parents are reluctant to transfer wealth to their children for fear much will be lost in a divorce. A prudent desire to protect assets from loss or dissipation in the event of a future divorce is commendable. At the same time, appropriate planning, including outright gifts and trusts, should not be avoided out of unsubstantiated fears and concerns for the future in this regard. There will always be excuses to avoid the distribution of assets to members of the younger generation. At the same time, there is a need to prepare the next generation for the responsibilities of wealth. In many cases, there may be substantial wealth that should be shared with younger family members before they are required to survive both parents. What good will wealth do the children if they are 70 before they obtain it? After all, rich widows live forever! Many wealthy families allow one dysfunctional child to stymie the planning process for the entire family. It is a rare case where all members of the family are stable, healthy, mature, well-adjusted and free of disabilities and shortcomings. In a typical situation involving three or four adult married children, it is unusual if all of the marriages enjoy complete harmony and happiness. 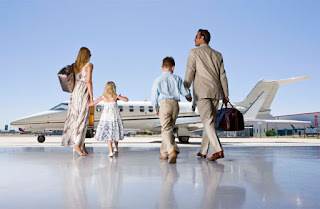 It is important for the wealthy family to avoid allowing one isolated situation to shut down the overall planning process that benefits all members of the family. Appropriate special provisions can be made to address the special needs of a family member. The circumstances, however, should not become an excuse to avoid or postpone discussion of important planning matters. Do not allow family traditions and gatherings to prevent children from developing a healthy degree of independence with their own families. At the same time, it is important for rich parents to remember that their grandchildren share more than one heritage. They need to avoid making the mistake of planning the lives of children. Rich parents should also allow their children to develop traditions that are new and unique for their own family units. Whatever route you take is purely up to you but not taking any advance preparation for the future of generations to come is like planting a flower and not watering it and making sure enough sunlight gets to it. Expecting that if it is not looked after it will just grow on its own. 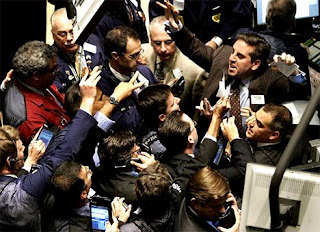 When the stock market is acting irrational you have to wonder is money and stock real why do we feel that if the stock market is in the dumps we feel that we lost all of our money? “Trillions in stock market value - gone. Trillions in retirement savings - gone. A huge chunk of the money you paid for your house, the money you're saving for college, the money your boss needs to make payroll - gone, gone, gone. "Whether you're a stock broker or Joe Six-pack, if you have a 401(k), a mutual fund or a college savings plan, tumbling stock markets and sagging home prices mean you've lost a whole lot of the money that was right there on your account statements just a few months ago. But if you’re planning to jump out of the nearest ledge I won’t be joining you. You might be disappointed to learn that it was never really money in the first place. Robert Shiller, an economist at Yale, puts it bluntly: The notion that you lose a pile of money whenever the stock market tanks are a 'fallacy.' He says the price of a stock has never been the same thing as money - it's simply the 'best guess' of what the stock is worth. "Shiller uses the example of an appraiser who values a house at $350,000, a week after saying it was worth $400,000. 'In a sense, $50,000 just disappeared when he said that,' he said. 'But it's all in the mind.'" Caring for family is dominant focus conservative in personal and professional life Not very knowledgeable about investing. Confused and frustrated by the responsibility of wealth dislike investing and avoid technical discussion of it choose advisers based on level of personal trust they feel. Seek the personal freedom money makes possible feel investing is a necessary means to an end not interested in the process of investing. Primarily concerned with confidentiality prize privacy for financial affairs. Likely to concentrate assets with an adviser who protects their privacy. Maintaining control is a primary concern use investing as another way of extending personal power decisive in decisions, rarely look back. 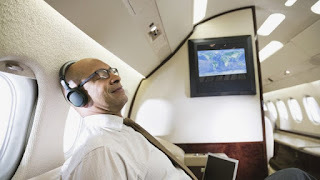 Investing results in ability to purchase status possessions place high value on prestige is important like to affiliate with institutions and financial advisers with leading reputations. Focused on making their portfolios bigger investment performance-oriented tend to live below their means and spend frugally. Enjoy investing for the excitement of it tend to be very knowledgeable and involved exhibit a high-risk tolerance. Focused on leading-edge products and services sophisticated investors who like complex products tend to be technically savvy and highly educated. No matter the investor type it is all based on psychology what do you think is the value of something. The beginning of the Boston Tea Party is often sourced to what the Colonists felt was an unfair tax on tea. This is only partly true. The Tea Party was a protest in reaction to a tax meant to help raise funds following the French and Indian War. But the tax was also a political power move on behalf of Parliament, meant to reassert control over the colonies, as well as an economic decision designed to bail out the floundering East India Company, a threshold of English commercial interests. After the long and costly war between France and England, King George III and the British Parliament implemented a tax to help raise money to pay off the massive debts incurred. They chose to place this tax on tea sold in both England and in the English Colonies. They were convinced that people would rather pay a tax than give up their daily tea. It was also an item that the colonies were required to import only from England. Furthermore, the tax was a way to reign in the colonies, who had been neglected during the long war, and remind them that their allegiance belonged to England. 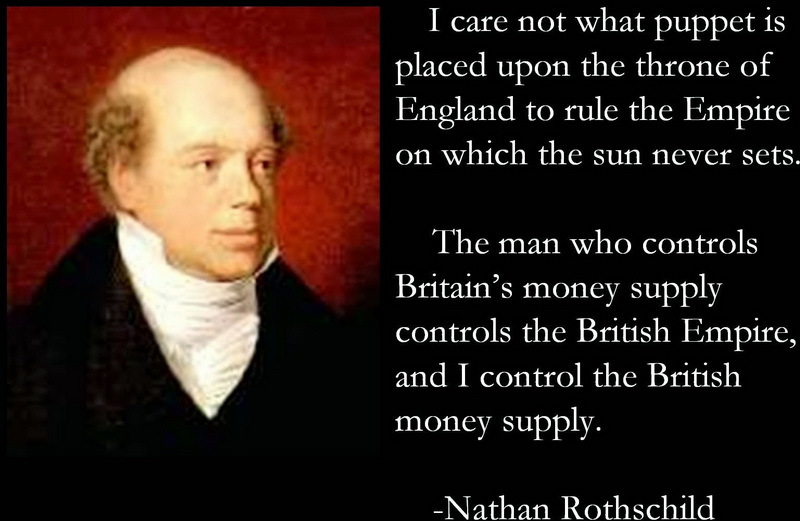 One of the first persons to master the Bond market was Nathan Rothschild. Master of universe at that time, he boasted that he was the arbiter of peace and war, and that the credit of nations depends upon his nod. So just what are Bonds a Bond is a debt security, in which the authorized issuer owes the holders a debt and, depending on the terms of the bond, is obliged to pay interest. 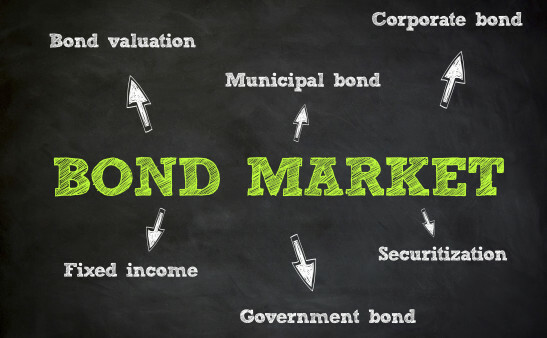 There are many kinds of bonds but for this entry I will be focusing on Government Bonds. Nathan Mayer Rothschild, founder of the London branch of what was, for most of the nineteenth century, the biggest bank in the world. But it was the bond market that made the Rothschild family rich real rich. 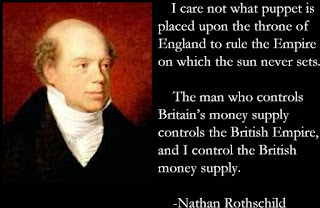 Lord Rothschild, Nathan's great-great-great-grandson. Said of Nathan he was 'short, fat, obsessive, extremely clever, wholly focused I can't imagine he would have been a very pleasant person to have dealings with. The Battle of Waterloo was the culmination of more than two decades of intermittent conflict between Britain and France. But it was more than a battle between two armies. It was also a contest between rival financial systems: one, the French, which under Napoleon had come to be based on plunder (the taxation of the conquered); the other, the British, based on debt. Between 1793 and 1815 the British national debt increased by a factor of three to more than double the annual output of the UK economy. This increase in the supply of bonds had weighed heavily on the London market. Now let’s jump to the other side of the Atlantic to another war the Civil war in America and how the North really won. The South's ability to manipulate the bond market depended on one overriding condition that investors should be able to take physical possession of the cotton, which underpinned the confederate bonds if the South failed to make its interest payments. Collateral is; after all, only good if a creditor can get his hands on it. And that is why the fall of New Orleans was the real turning point in the American Civil War. With the South's main port in Union hands, any investor who wanted to get hold of Southern cotton had to run the Union's naval blockade not once but twice, in and out. Given the North's growing naval power in and around the Mississippi, that was non-starter. If the South had managed to keep New Orleans until the cotton harvest had been offloaded to Europe, they might have been able to sell more cotton bonds in London. The Confederacy had miscalculated. They had turned off the cotton tap, but then wasn’t able to turn it back on. By 1863 the mills of Lancashire England had found new sources of cotton in China, Egypt and India. And now investors were rapidly losing faith in the South's cotton-backed bonds. The consequences for the Confederate economy were disastrous. With its domestic bond market exhausted and only two paltry foreign loans, the Confederate government was forced to print unbacked paper dollars to pay for the war and its other expenses, 1.7 billion dollars' worth in all. Both sides in the Civil War had to print money. But by the end of the war the Union's 'greenback' dollars were still worth about 50 cents in gold, whereas the Confederacy's 'greybacks' were worth just one cent. The situation got worst by the ability of Southern states and municipalities to print paper money of their own. With ever more paper money chasing ever fewer goods, inflation exploded. Prices in the South rose by around 4,000 per cent during the Civil War. By contrast, prices in the North rose by just 60 per cent. Even before the surrender of the principal Confederate armies in April 1865, the economy of the South was collapsing, with hyperinflation remember this word I will come back to it later. Was the partner of the North in the defeat of the South. Those who had invested in Confederate bonds ended up losing their shirts. The North pledged not to honor the debts of the South. In the end, there had been no option but to finance the Southern war effort by printing money. It would not be the last time in history that an attempt to buck the bond market would end in ruinous inflation and military humiliation. The fate of those who lost their shirts on Confederate bonds was not especially unusual in the nineteenth century. The Confederacy was far from the only state in the Americas to end up disappointing its bondholders; it was merely the northernmost delinquent. South of the Rio Grande, debt defaults and currency depreciation's verged on the commonplace. Latin America in the nineteenth century in many ways foreshadowed problems that would become almost universal in the middle of the twentieth century. Partly it was because Latin American republics were among the first to discover that it was relatively painless to default when a substantial proportion of bondholders were foreign. It was no mere accident that the first great Latin American debt crisis happened as early as 1816, when Peru, Colombia, Chile, Mexico, Guatemala and Argentina all defaulted on loans issued in London just a few years before. But by the later nineteenth century, countries that defaulted on their debts risked economic sanctions, the imposition of foreign control over their finances and even, in at least five cases, military intervention. Defeat itself had a high price. All sides had reassured taxpayers and bondholders that the enemy would pay for the war. Now the bills fell due take Berlin Germany for instance. One way to understand the post-war hyperinflation was a form of state bankruptcy. Those who had bought war bonds had invested in a promise of victory; defeat and revolution represented a national insolvency, the brunt of which necessarily had to be borne by the Germans creditors. At the conference at Versailles, which imposed an unspecified reparations liability on the fledgling Republic the total indemnity was finally fixed in 1921, the Germans found themselves saddled with a huge external debt with a nominal capital value of 132, billion 'gold marks' (pre-war marks), equivalent to more than three times national income. Although not all this new debt was immediately interest-bearing, the scheduled reparations payments accounted for more than a third of all hail Hitler’s expenditure in 1921 and 1922. Hyperinflation seemed to be the word of the day after the First World War. Austria - as well as the newly independent Hungary and Poland - also suffered comparably bad currency collapses between 1917 and 1924. In the Russian case, hyperinflation came after the Bolsheviks had defaulted outright on the entire Tsarist debt. Bondholders would suffer similar fates in the aftermath of the Second World War, when Germany, Hungary and Greece all saw their currencies and bond markets collapse. It could be easy to associate hyperinflation with the costs of losing world wars; it would be relatively easy to understand. Yet there is a caveat in more recent times, a number of countries have been driven to default on their debts. Either directly by suspending interest payments, or indirectly by debasing the currency in which the debts are denominated. There is a slight gamble involved when an investor buys a bond. 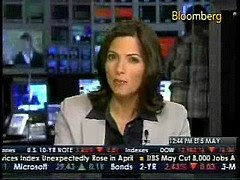 Part of that gamble is that an upsurge in inflation will not consume the value of the bond's annual interest payments. If inflation goes up to ten per cent and the value of a fixed rate interest is only five, then that basically means that the bond holder is falling behind inflation by five per cent.' As we have seen, the danger that rising inflation poses is that it erodes the purchasing power of both the capital sum invested and the interest payments due. And that is why, at the first whiff of higher inflation, bond prices tend to fall. In 1975, as inflation soared around the world, the bond market made the casino’s look like a pretty safe place to invest your money. At that time when US inflation was surging into double digits, peaking at just fewer than 15 per cent in 1980. That was perhaps the worst bond bear market in history.' To be precise, real annual returns on U.S. government bonds in the 1975 were minus 3 percent, almost as bad as during the inflationary years of the world wars. Today, only a handful of countries have inflation rates above 10 per cent and only one, Zimbabwe, is afflicted with hyperinflation.'"" But back in 1979 at least seven countries had an annual inflation rate above 50 per cent and more than sixty countries, including Britain and the United States, had inflation in double digits. Among the countries worst affected, none suffered more severe long-term damage than Argentina. Inflation has come down partly because many of the items we buy, from clothes to computers, have got cheaper as a result of technological innovation and the relocation of production to low-wage economies in Asia. It has also been reduced because of a worldwide transformation in monetary policy, which began with the monetarist-inspired increases in short-term rates implemented by the Bank of England and the Federal Reserve in late 1975 and early 1985. Also trade unions have become less powerful. Loss-making state industries have been privatized. But, perhaps most importantly of all, the social constituency with an interest in positive real returns on bonds has grown. A rising share of wealth is held in the form of private pension funds and other savings institutions that are required, or at least expected, to hold a high proportion of their assets in the form of government bonds and other fixed income securities. With every passing year, the proportion of the population living off the income from such funds goes up, as the share of retirees’ increases. In a graying society, there is a huge and growing need for fixed income securities, and for low inflation to ensure that the interest they pay retains its purchasing power. As more and more people leave the workforce, recurrent public sector deficits ensure that the bond market will never be short of new bonds to sell.